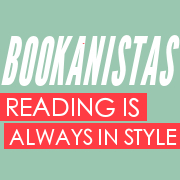 Today’s Bookanistas Review comes to you with a side dish of local author love. Jennifer Castle lives pretty darn close to me, so we get lots of opportunities to hang out at author and writer events together. Yay me!!!! I love Jennifer and adore her books. Today I’m reviewing YOU LOOK DIFFERENT IN REAL LIFE. For the rest of the world, the movies are entertainment. For Justine, they’re real life. Now sixteen, Justine doesn’t feel like a star anymore. In fact, when she hears the crew has gotten the green light to film Five at Sixteen, all she feels is dread. The kids who shared the same table in kindergarten have become teenagers who hardly know one another. And Justine, who was so funny and edgy in the first two movies, feels like a disappointment. But these teens have a bond that goes deeper than what’s on film. They’ve all shared the painful details of their lives with countless viewers. They all know how it feels to have fans as well as friends. So when this latest movie gives them the chance to reunite, Justine and her costars are going to take it. Because sometimes, the only way to see yourself is through someone else’s eyes. Smart, fresh, and frequently funny, You Look Different in Real Life is a piercing novel about life in an age where the lines between what’s personal and what’s public aren’t always clear. I immediately developed a soft spot for Justine even though she’s a bit of a snarky character who has moments of being unlikable. I’m personally drawn to a character with that kind of dimension. Perhaps it’s because a flawed MC is comforting to me, I’m loaded with my own chips and cracks. Or maybe it’s the complexity of character that keeps me so interested. More likely a combination of both, which in my humble opinion is even better. Additionally, all of Castle’s supporting roles had range and depth of character that held my attention the whole way through. But I have a favorite reason for loving this book. It made me think and rethink about reality television, particularly the role of media fame on children. In fact, I think I’m still digesting it, even though it’s been a few weeks since I turned the last page. What does it mean to grow up in the public eye of reality TV? This is a harder and harder question to answer as our media opportunities are casting an ever widening net. Maybe watching Miley Cyrus, Brittany Spears, Amanda Bynes, and Lindsay Lohan, to name just a few, really illustrates why a book like this so important. It feels to me as if those young girls are the unreliable narrators in their own life story. We only see parts of their story and some of those pieces do not give us the complete picture we need. Castle’s book gives a deeper look into what can happened when a child’s life becomes too transparent. 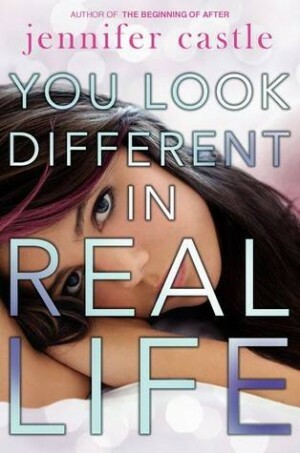 YOU LOOK DIFFERENT IN REAL LIFE is a fabulous, richly-textured, thought provoking read that you shouldn’t miss. Jennifer Castle received her B.A. in Creative Writing at Brown University and worked as a celebrity publicist’s assistant, an advertising copywriter, and a struggling screenwriter (yes, that’s an actual job) before falling into a niche producing websites for kids and teens. 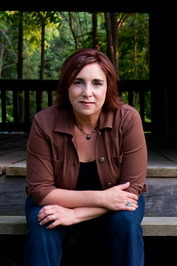 Her first novel, THE BEGINNING OF AFTER, was a 2012 YALSA Best Fiction for Young Adults selection as well as a Chicago Public Library “Best of the Best” book. Her most recent novel is YOU LOOK DIFFERENT IN REAL LIFE from HarperTeen–June 2013. She lives in New York’s Hudson Valley with her husband and daughters. Any thoughts on reality TV’s effect on today’s children? I personally think we have yet to see the full ramifications for the actors or the audience. What do you think? What should be changed? What is a positive that is often over looked? Do parents have a greater responsibility in this process? Lots to talk about with this one.